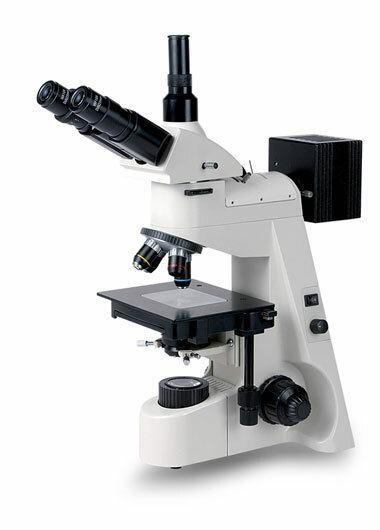 Model XJP-146J series Up-right Metallurgical Microscope used in observation & analysis of metallurgy, Mineralogy, crystal and micro-electronics, etc. It is the first choice of Factories, Universities, Scientific research organization and Electronic industrial department. It adopts 2 kinds of illumination, reflection and transmission and epi-polarizing fitting is also outfitted. You can proceed not only Bright field and Polarizing viewing under illumination of reflection light, but also making bright field viewing under transmission light. 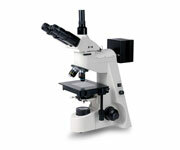 Stable and superior optical system meet your high quality image requirement. “T” type figure design provides the stable base, humanized configuration design, simple and convenient operating system make your work easy and relax. 50 × /0.75W.D. 1.9mm 80 × /0.9W.D.